MORE THAN a month has passed since the new academic year has begun and the education authorities and parents are yet again confronted with the issue of weight of school bags. While the education department claims to have conducted a ‘drive’ to keep a check on the weight of school bags, their claims are laid bare when asked about the statistical information of the inspections. Dinkar Temkar, deputy director of education, Pune, said that the first drive to check weight of school bags was initiated by him in June. “I visited a school and checked the weight of school bags against the weight of students. Later, I had asked all education officers to ensure that they conduct surprise inspections,” he said. However, a month after the drive, he could not provide details stating that he was yet to get it from the junior staff. A few inspections seem to have taken place as claimed by the Zilla Parishad primary education officer, Mushtaq Shaikh, but he too didn’t have any data to share. “We have 13 block education officers and each one was told to inspect at least 2-3 schools randomly. They have conducted inspections but while some inspected a few, others inspected just one school. Though statistics are not known but I can tell you that the situation is better in schools with regard to compliance. Now, we will repeat the same drive towards the end of July,” he said. 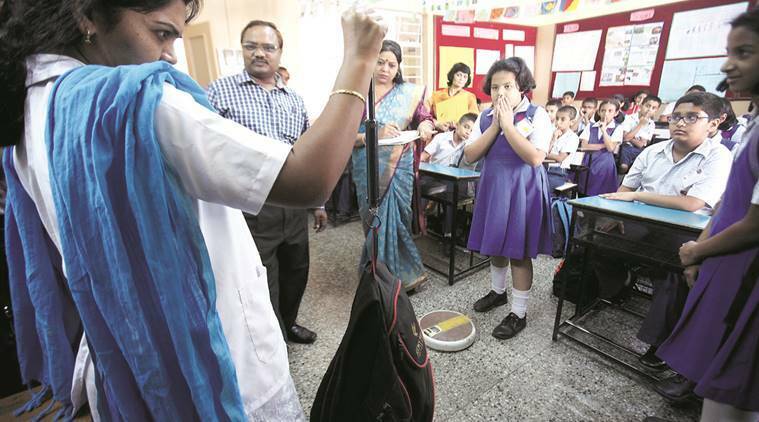 As per the norms set out by the state education department based on directions of the Bombay High Court, the weight of the school bag should not exceed 10 per cent of child’s body weight. 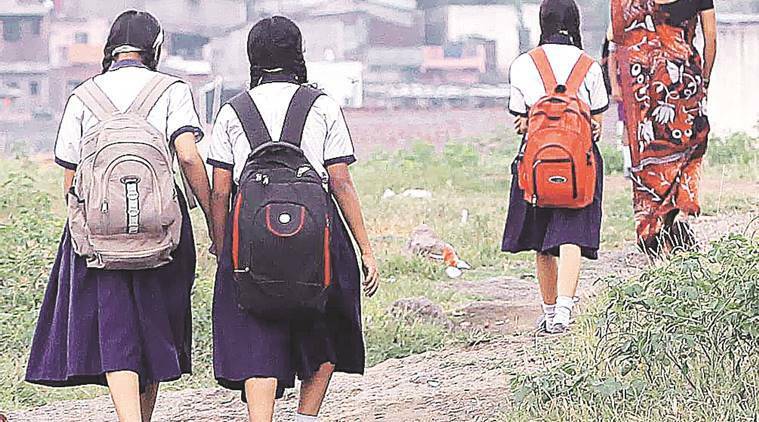 In the last major drive conducted by education department last year, officials found that in most schools, students were carrying a lot of unnecessary baggage to schools. Meanwhile, in the absence of any strong regulatory action by education authorities, the onus of implementing the norms on weight of school bags falls on schools and parents. Some principals say they have started seeing a change through innovative methods adopted like twin sharing of books. Swati Kulkarni, principal of Huzurpaga Girls School, said that simple measures by reducing size of notebooks and asking “benchmates” to share books by carrying them on alternate days have helped reduce the weight of bags. At SM Choksey School where the weight of bags was found to be 1.5times above the prescribed limit in last inspection, Principal Neeta Lodhi said she is confident that a repeat drive will not see the same scenario. “We are checking weight of bags and even informing the Parent Teacher Association not to allow bags more than prescribed limit,” she said. Milind Ladge, director of Aryan World School, said, “We have even tried confiscating the additional baggage and yet, children continue bringing it. We tried so many measures by introducing one notebook for three subjects, taking compiled textbooks for multiple subjects, ordered lockers and yet, we find this group of over enthutiastic parents or students who keep sending additional stuff. We installed the latest water filtration system and yet, parents send huge water bottles. I think just a bit more involvement from parents is required and they should form a joint committee for school bag inspection,” he said.